The 1925 discovery, in South Africa by Raymond Dart, of a small creature he named Australopithecus africanus showed that our early ancestors were from the continent of Africa. While controversial at the time, it turned interest from exploring for human ancestors in Asia and Europe to Africa. Since that time, species of Australopithecus have been found in many other parts of the continent. A. afarensis has been recovered in Tanzania, Ethiopia, and Kenya; A. bahrelghazali in Chad; A. garhi in Ethiopia; A. anamensis and the related genus Kenyanthropus in Kenya, and many more A. africanus fossils have been recovered in South Africa. This collection has often been grouped under the name “gracile australopithecines” and they range in time from 4.2 to ~2.5 million years ago. This Symposium and Workshop focuses on understanding the phylogenetic relations among these many species of Australopithecus as well as their similarities and differences. We will explore the phylogeny of the group with an eye towards understanding the tempo and mode of evolution through this time period. While A. anamensis–A. afarensis has been shown to be a continuous lineage, what is the relationship to A. africanus and to Kenyanthropus? What is the relationship between A. bahrelghazali and its more eastern relatives? Which one of these species likely gave rise to Homo? What is the relationship between these taxa and the more robust species ? The symposium and workshop also addresses biogeography and ecology of this widespread and diverse genus. Were different species ingabiting different environments? Were there ecological differences between hominins living in the more temperate southern African region and those around the equator? Is there any evidence of geographic connections between species or were they separated by major barriers? Do other Pliocene mammals show similar patterns of distribution? How is the fossil record biased by the nature of the geological deposits in which the fossils have been recovered?. Finally, the participants investigated many aspects of the behavior and life history of Australopithecus. We now have many insights into the growth and development of this genus through first find of the Taung child, A. africanus, in 1925, and the new A. afarensis child, “Selem,” announced in 2006. Did these early hominins have a human-like or ape-like pattern of growth? What do we know about the diet of different species? 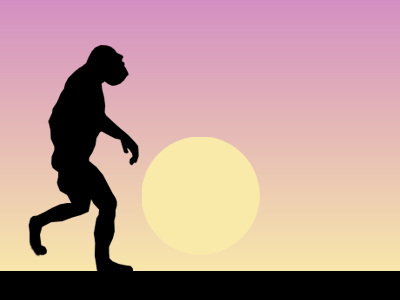 The locomotor behavior of Australopithecus has been a subject of ongoing debate since the initial discovery. Everyone now agrees that these early hominids walked uporight on two legs, but did they also spend a large part of their life in trees? What are the differences and similarities between different species? By addressing these and other questions, the workshop participants summarized the current areas on consensus and disagreement, and to identify productive avenues for future research.